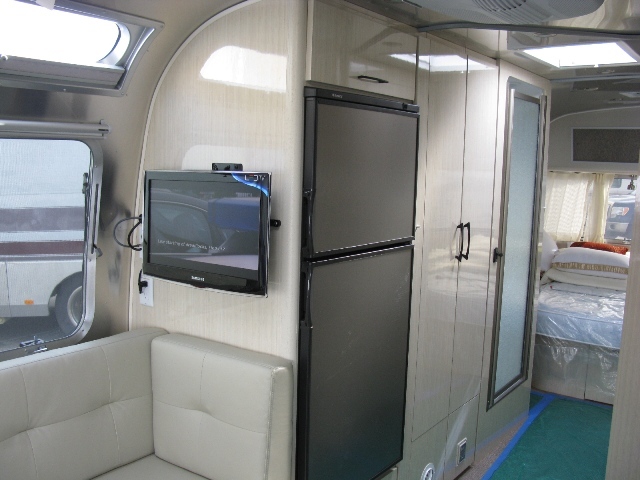 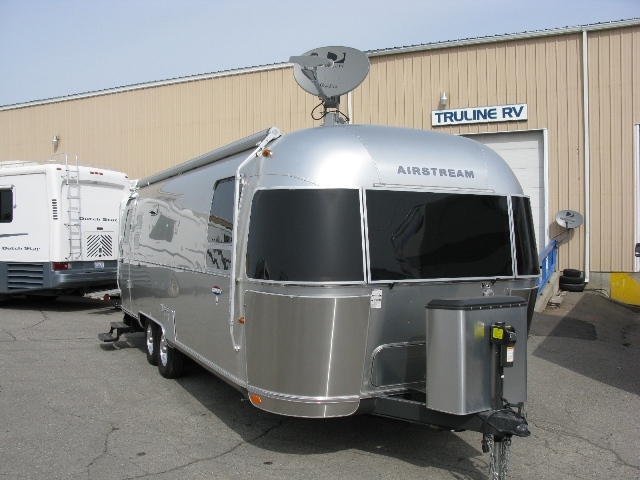 Recently we were asked to install an HD Winegard Traveler on a new Airstream, the only trick was that there was not enough open roof space to allow the installation. 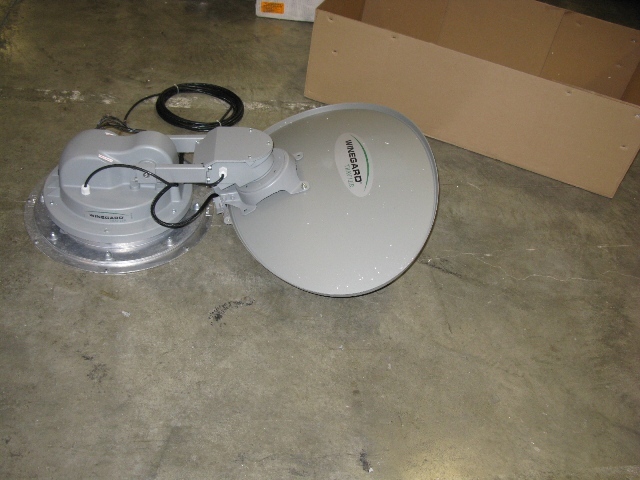 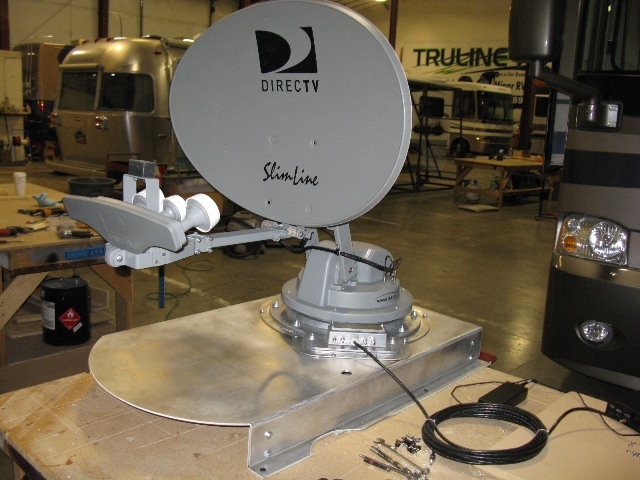 After some careful measurements we decided to elevate the new dish slightly above the roof on a custom designed formed Aluminum bracket and push it a couple inches over the skylight. 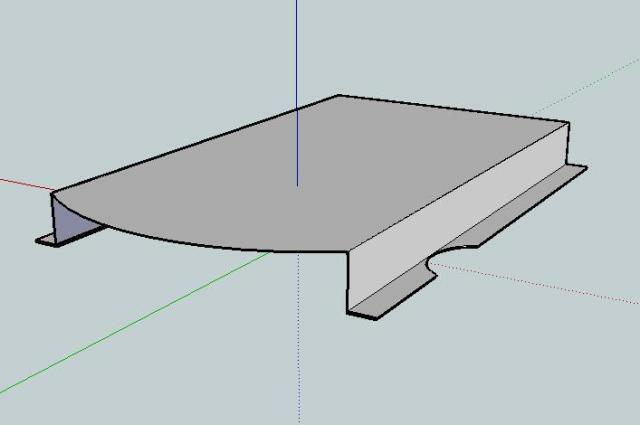 Once the part was drawn and ready to be fabricated we realized that there would be no way to access the skylight for sealant maintenance. 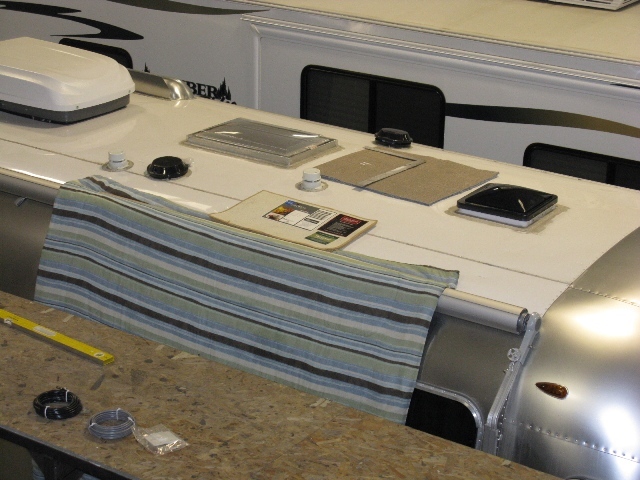 One small revision later we had a mount that could be easily lifted from the base brackets and allow sealant work. 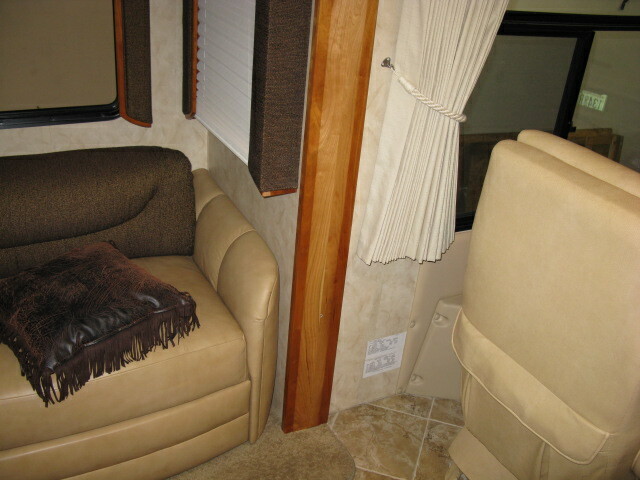 After the exterior install we installed and concealed all wiring from the roof, not an easy job in a brand new Airtsream. 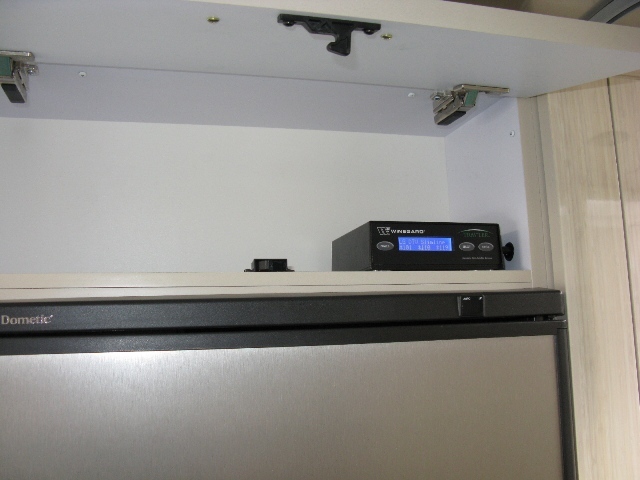 We decided to install the Winegard controller above the fridge out of sight and the DirecTV HD receiver along with associated wiring below the fridge tucked away nicely and controlled with an IR remote. 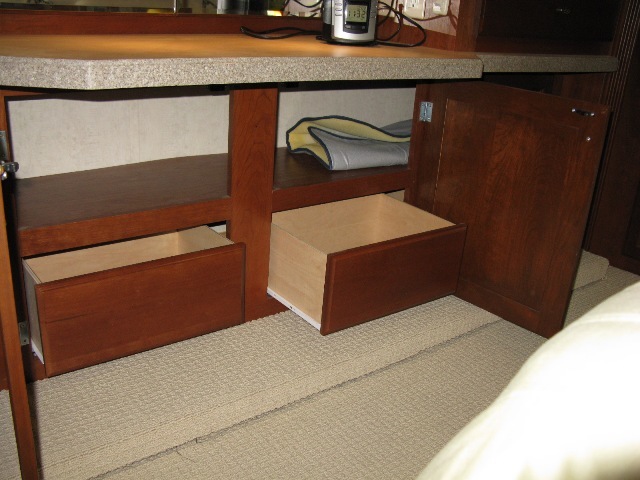 This gallery has just a few examples of space utilization. 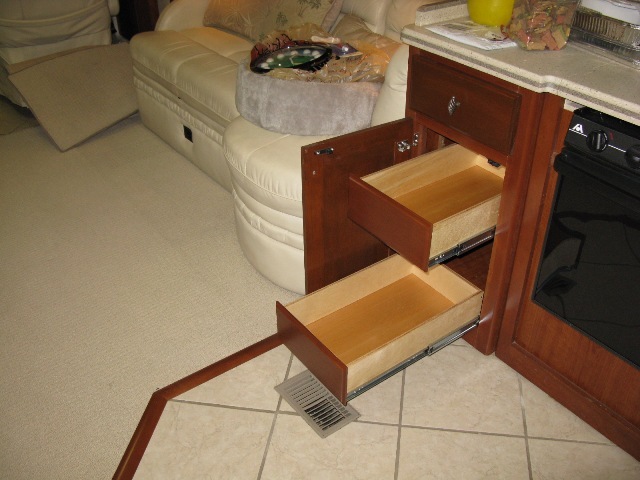 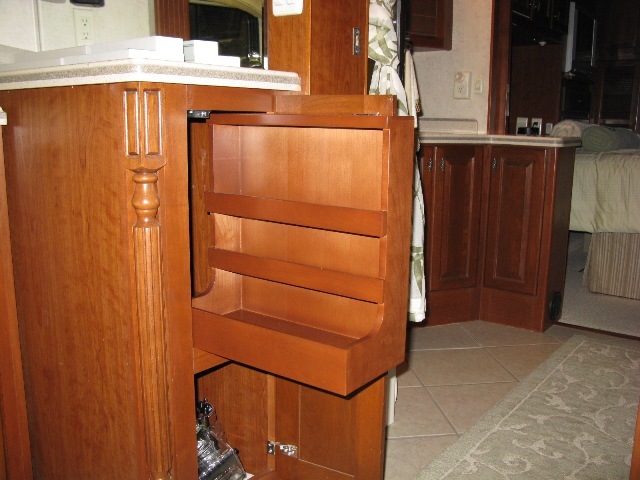 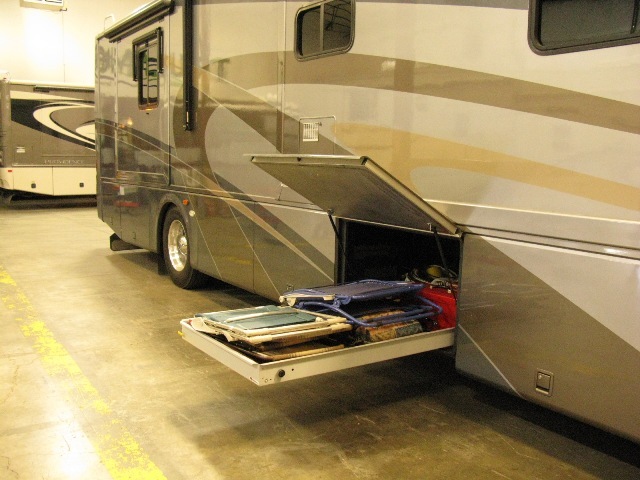 In most coaches there are many areas where additional storage and more accessible storage can be created with a little thought and imagination. 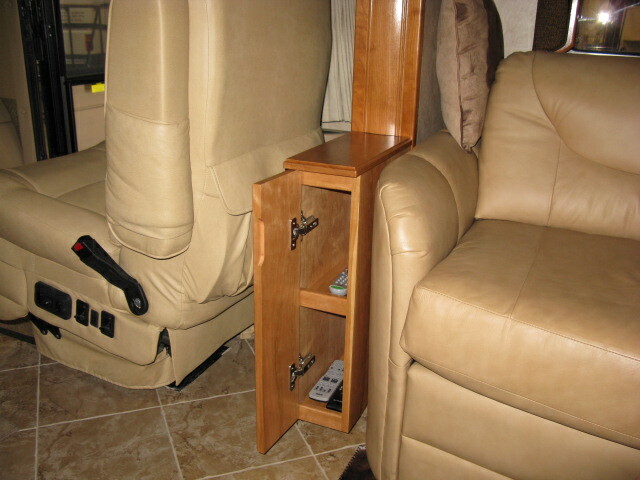 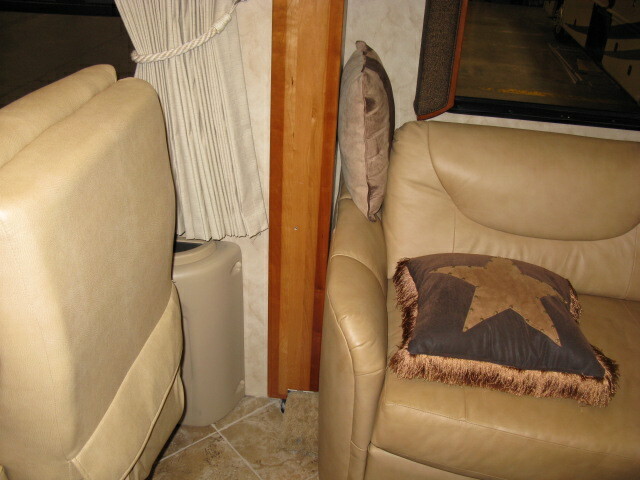 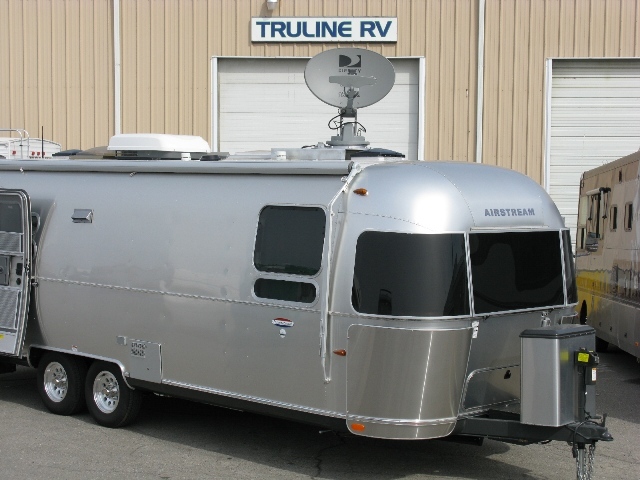 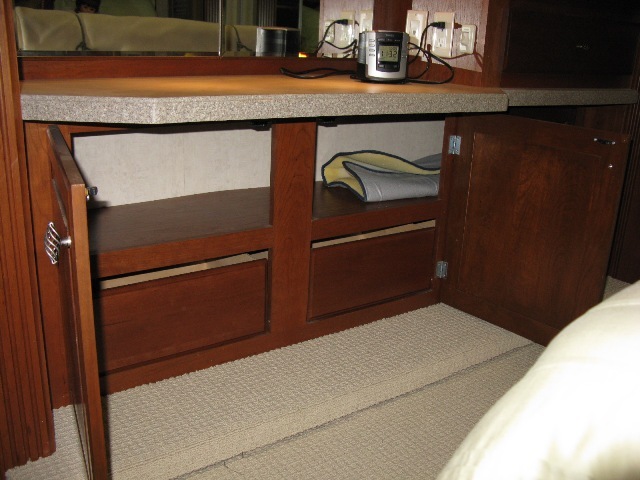 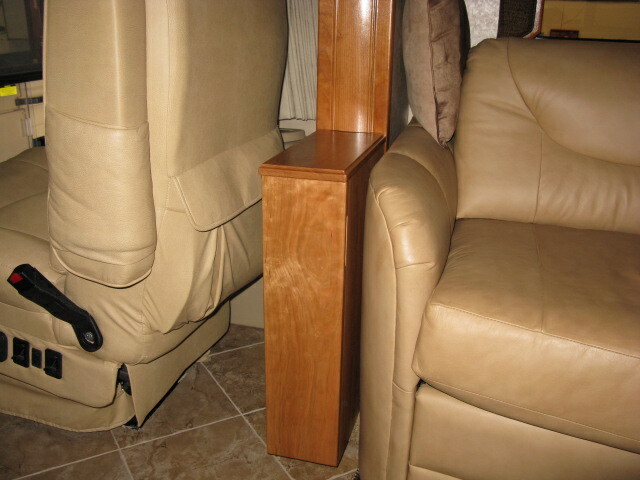 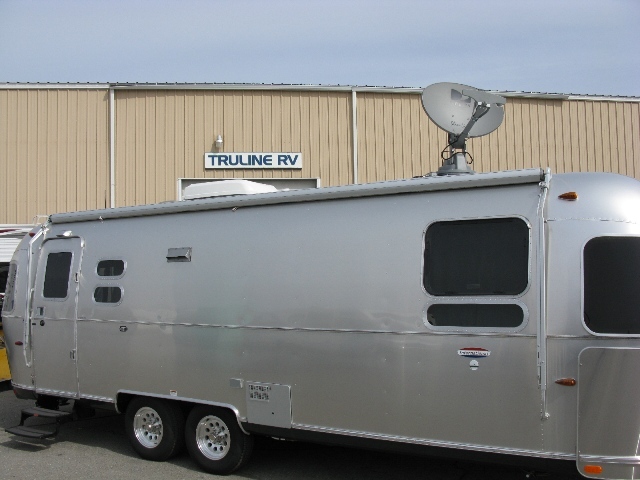 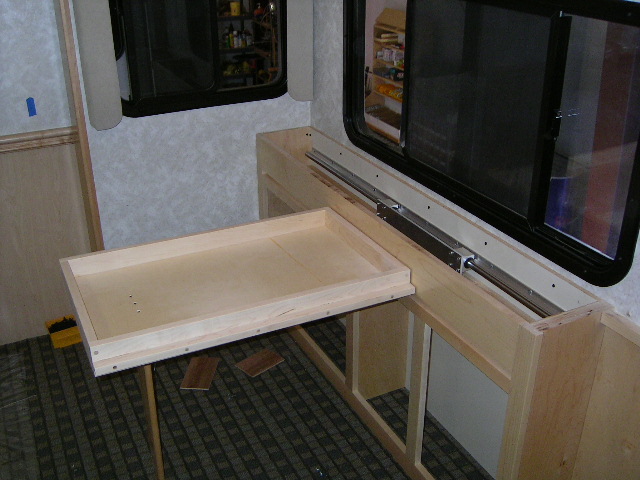 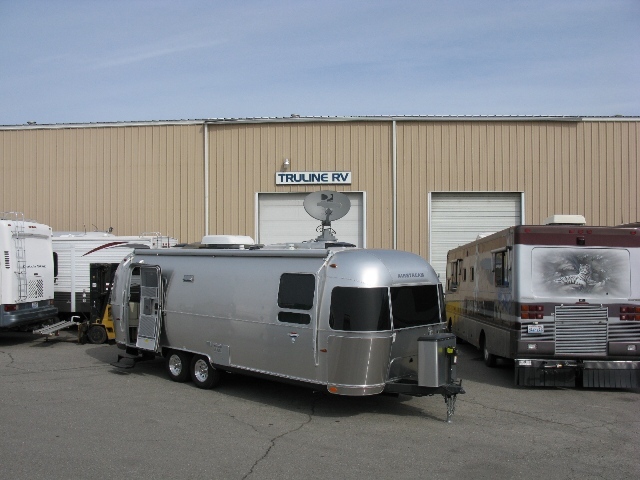 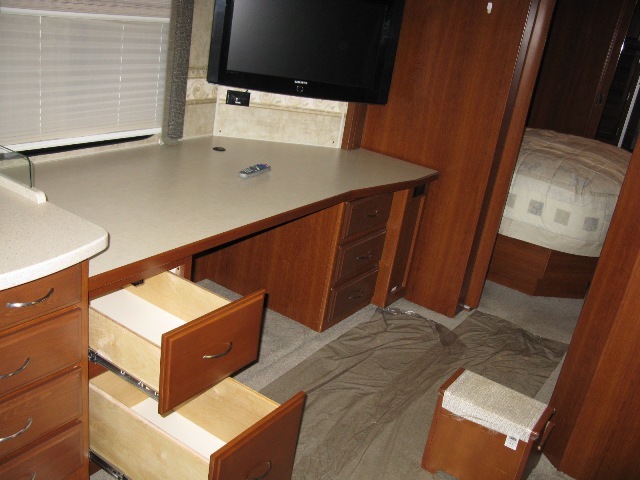 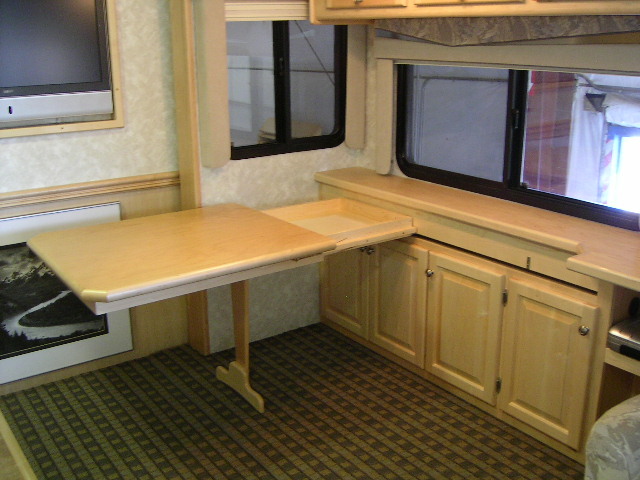 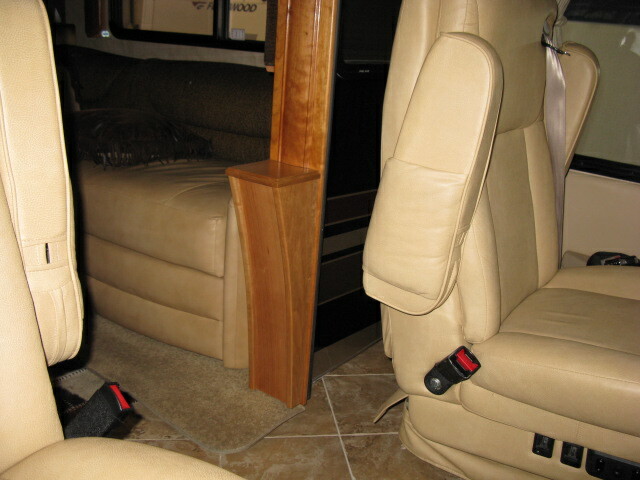 Everybody can use more space and Truline RV can create it for you. 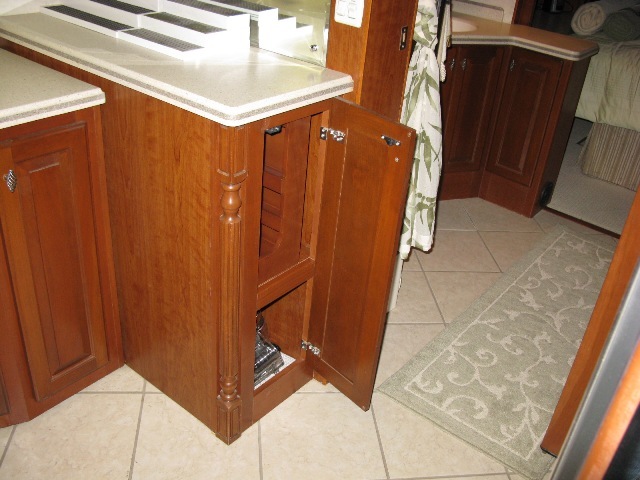 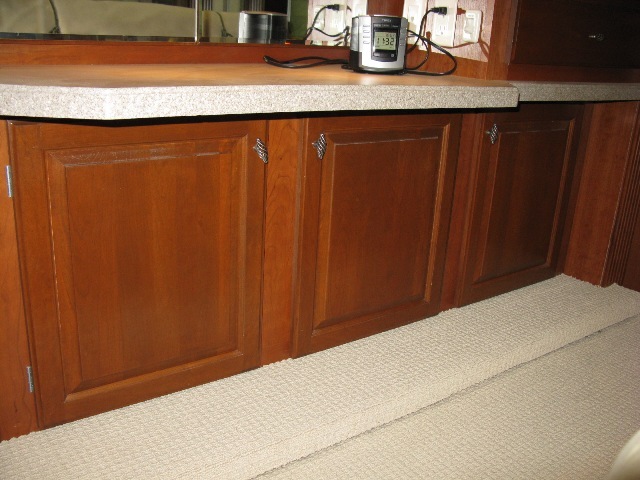 Whether we add additional custom cabinets or just find the space in existing cabinetry and make use of it. 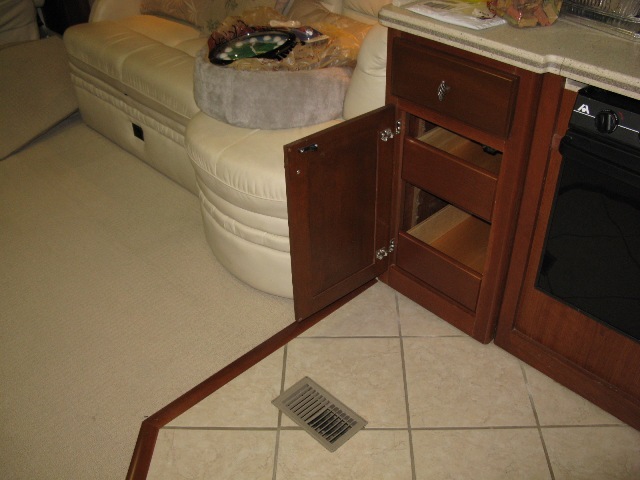 We can help solve your storage problems.